Add To Simulation Add To Simulation ? Angenieux's EZ-1 30-90mm S35 Cinema Lens with PL Mount is a fast zoom for 3-perf Super 35mm sized sensors that has been designed from the ground up to utilize interchangeable rear optical assemblies. This allows you to use the same lens to cover Super 35 or Full-Frame/VistaVision-sized sensors by swapping out the rear optical assembly. In addition, the rear assemblies allow you to swap the lens mount from PL to Sony E or Canon EF. The version of the lens ships with a PL mount and the Super 35 rear optical assembly. Set up as such it features a T2.0 aperture and focuses down to 2' in front of the image plane, while weighing in at only 4.7 pounds. 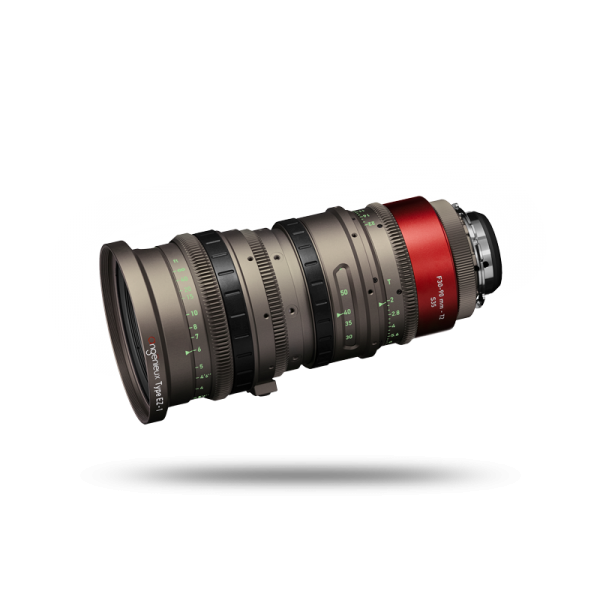 The 114mm front diameter of the lens is a common diameter compatible with cinema-style matte boxes. The lens features independent focus, iris, and zoom control rings with cinema standard gear teeth. A removable support foot can be repositioned for when you need to rotate your lens off of a standard mounting orientation. Get news and promotion now!